“As soon as he got close to me, I was going to grab his head from behind and cut him from ear to ear,” she wrote. During 10 days of “Save Our Schools” meetings, Atwater wrote, “The blinders came off and we both saw that our fighting one another wasn’t doing anything to help the children. On the last day of the meetings, Ellis ripped up his Klan membership card in front of a crowd. It has been reported that their story will be brought to the big screen, with Taraji P. Henson of “Empire” playing Atwater, in “The Best of Enemies,” a movie written by “The Hunger Games” producer Robin Bissell. The movie is based on “The Best Of Enemies: Race And Redemption In The New South,” a book by Osha Gray Davidson. A play also was written by Mark St. Germain. The friendship was also the subject of a documentary “An Unlikely Friendship,” produced and directed by Diane Bloom. But Atwater’s importance goes deeper, said Howard Fuller, a former Operation Breakthrough organizer and now a professor of education at Marquette University in Wisconsin. “I personally don’t think that was the crucial part of her legacy at all,” he said. 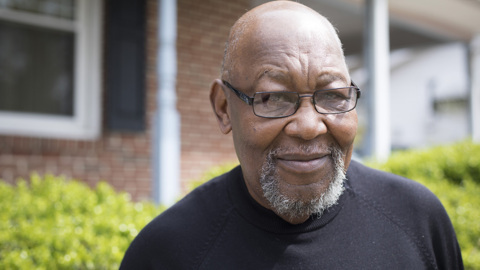 Atwater was born in 1935, the ninth child of sharecroppers in Columbus County. Her mother died when Ann was 6. She moved to Durham in 1953, following a husband who soon left her with two children. About 1965, Fuller knocked on Atwater’s door. They discussed organizing rent strikes to force landlords to improve housing, he said. At the time, black leaders were from the middle class. Atwater changed that, Fuller said. Atwater was a warrior for African-Americans and the poor, said Durham Mayor Bill Bell. When she had an issue she let him know, Bell said. She offered advice when he was on the Board of County Commissioners, navigating a process to merge the city and county school systems in 1992. Jonathan Wilson-Hartgrove met Atwater in 2003 after coming to Durham. Wilson-Hartgrove is now director of the School for Conversion, which builds relationships among people from different cultures and backgrounds. In October it opened the Ann G. Atwater Freedom Library, a resource for youth and others in the Walltown neighborhood, where Atwater organized in the 1970s. When Wilson-Hartgrove met Atwater, she had retired on disability from Operation Breakthrough. Atwater and Ellis had been building unlikely coalitions by traveling and sharing their story. Wilson-Hartgrove asked Atwater to teach him about community work in Durham, he said, and she took him under her wing. “She would always say, ‘God gave me the gift to reach out and touch,’ ” he said. About 2010, Atwater fell and broke her leg. Wilson-Hartgrove recalls visiting at her bedside about 11:30 a.m., and she already had 64 phone calls. Atwater would assure people that asking for help said nothing about their worth, he said. And she’d give away anything if someone was in need. Atwater would get an honorarium from a university for giving a talk, he said, and give it away. “When she didn’t have it, she would just call people and insist that the person needed it,” he said. Wilson-Hartgrove said funeral arrangements are still being made. 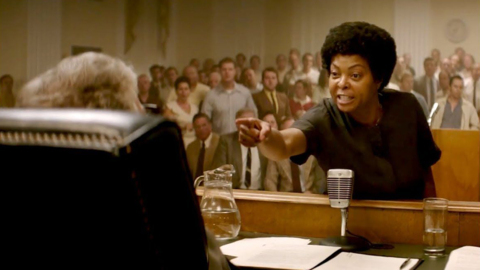 ‘The Best of Enemies’ stars “Empire” star Taraji P. Henson as civil-rights activist Ann Atwater and Academy Award winner Sam Rockwell as Ku Klux Klan leader C.P. Ellis, telling the true story of events in Durham, NC, in 1971. ‘The Best of Enemies’ tells a true story of NC history. What did the film get right? 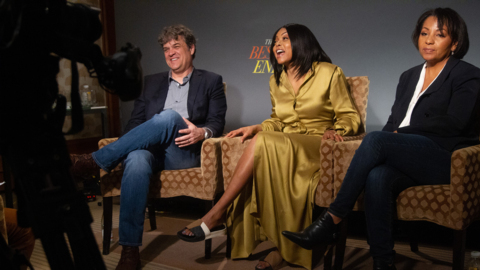 Who is Taraji P. Henson, star of ‘What Men Want’ and ‘Empire’?